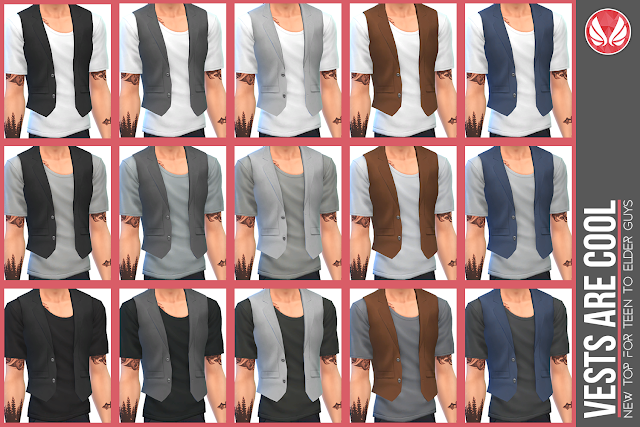 I love vests. But I love vests with t-shirts more then vests with shirts. 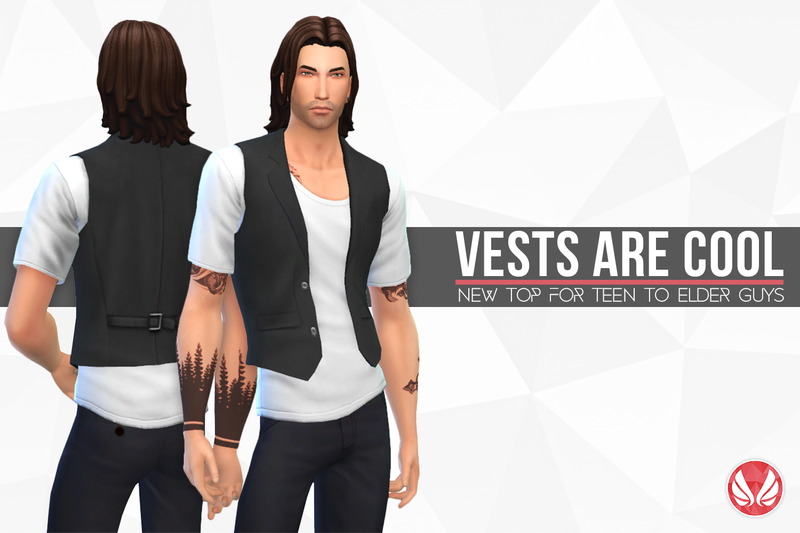 So when GTW came out, I saw the lovely vest that came with it. I saw some potential and had to tweak it to my liking. Now I have some awesome semi-formalwear for my sims, and now you do too. 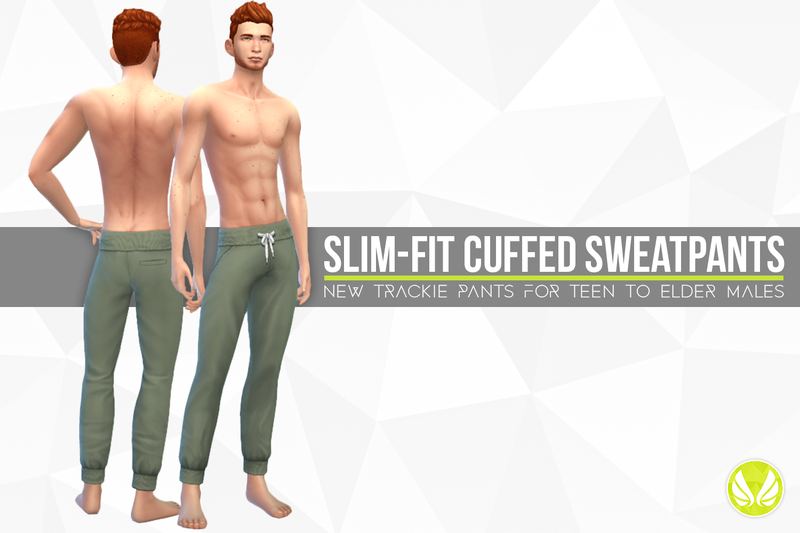 One of my favourite creations I made for TS3 was my cuffed sweatpants, so I had to have them for TS4 too. It took a while to get this project off the ground since I started them around the time of the GTW update that messed up CAS categorisation. But they are finally done and I love how they turned out. 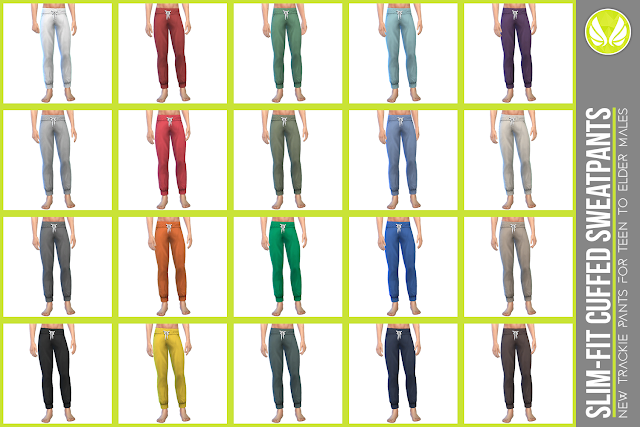 Note: These pants do clip with some shoes. These are mainly ankle high boots. There is nothing I can do to stop the clipping without completely removing the cuff design. That is just silly considering that is the point of the design. So be aware of this (though I highly doubt any sensible person would put hiking boots with these. If that thought crosses your mind, just picture me mortified howling incessantly in your head to shake yourself out of it). I know some of you are probably a little disappointed that its not a clothing creation that is the first thing I am sharing, but if you don't know I love building, you must be new around here. 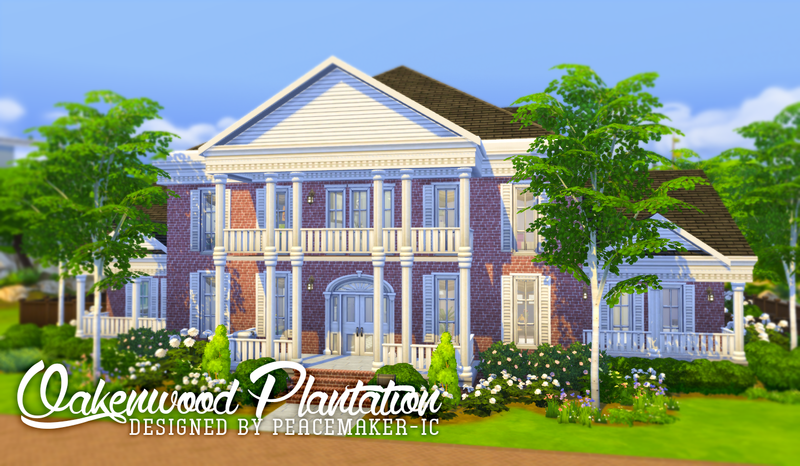 Today I bring you Oakenwood Plantation, a 6 bedroom, 4 and 1/2 bathroom home for The Sims 4. It is built on a 50x50 lot in Willow creek and costs $231,058. Since the Gallery where it is uploaded is not accessible via the internet like the TS3, you can find my creations uploaded listed under my origin ID: peacemaker_ic. Click on one of the alternate download links below if you wish to get this from another place other then the gallery. To install into your game, Extract the archive then navigate to The Sims 4 folder in My Documents. Find the Tray folder and place ALL of the files from the archive into it. Open your game and find the home in your library, just as if you dl'd it directly from the gallery.